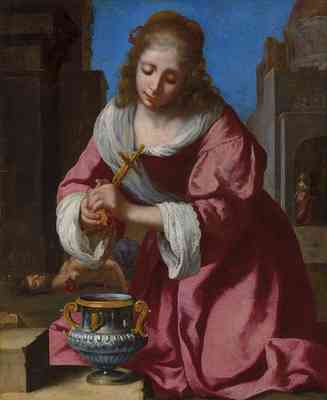 In case you're wondering what happened to Johannes Vermeer's early painting of Saint Praxedis (1655) in Christie’s Old Master and British Paintings Evening Sale in London on 8 July, it fetched £6.2 million. Who bought it? I have no idea! CLICK to learn more.